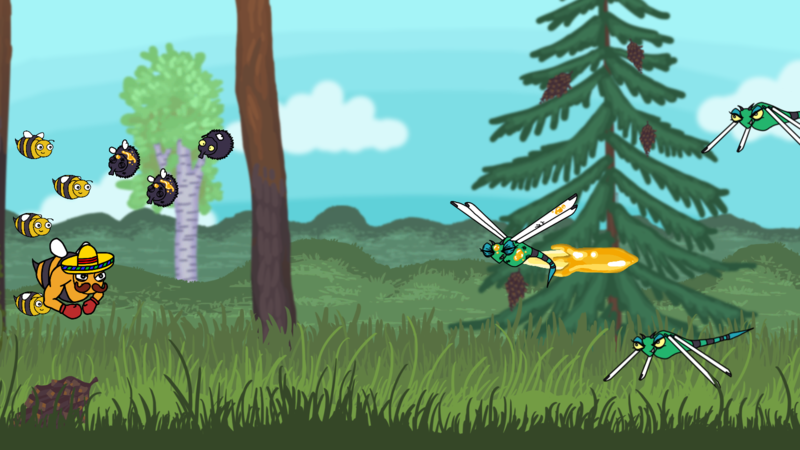 Beelonging - Quirky shoot em up game about saving your bee hive! We just published our very first game we made for university! Check it out! 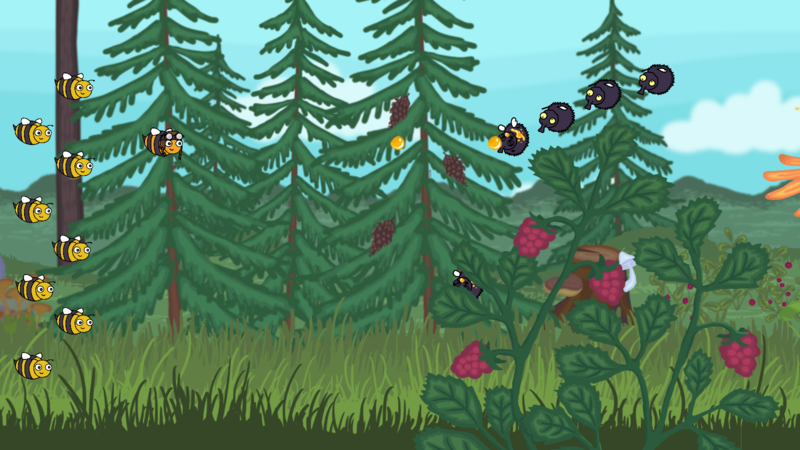 After getting a call from your bee buddy telling you that your hive is under attack by the evil bear, you take on an adventure to get home and save your friends. 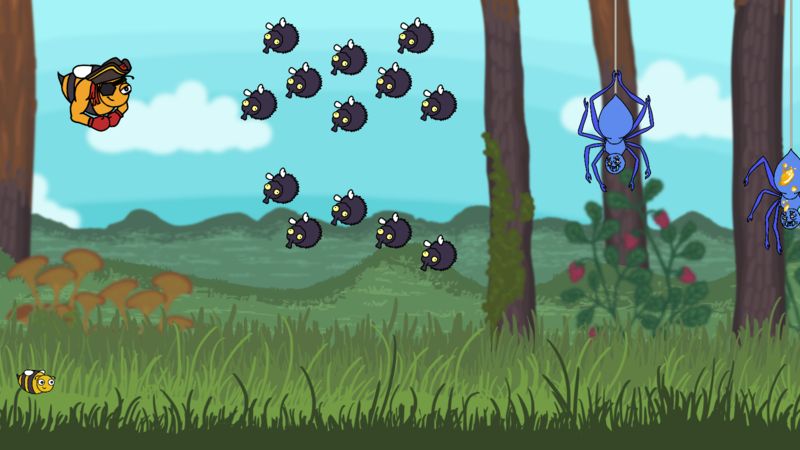 On your way there, you approach several different obstacles and enemies, which you can only overcome by working together with the rest of your swarm. Beelonging is an uplifting-shoot em up game with happy music, colourful environments and fun challenges not only for kids, but for the whole family. You can either play Beelonging in your browser or download the executable file for windows. Playing in Fullscreen Mode is highly recommended. Hi! You seem to have double-posted this. I archived the other thread, let me know if there was a good reason to have both, so I can bring it back.